Boasting a great location on one of the best stretches of white sand in the south of the island, washed by the blue seas of the Indian Ocean, the Citrus Hikkaduwa is ideal for a relaxing beach holiday. 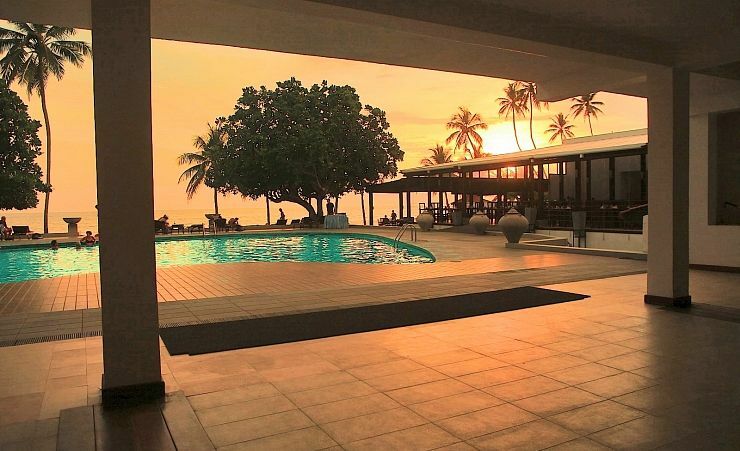 Enjoying a tropical island setting, the hotel is perfectly positioned for those who enjoy snorkelling and scuba diving (approx 200m from resort). There is also the added benefit of being just a short distance from the town where guests can experience a selection of colourful boutiques and night life. 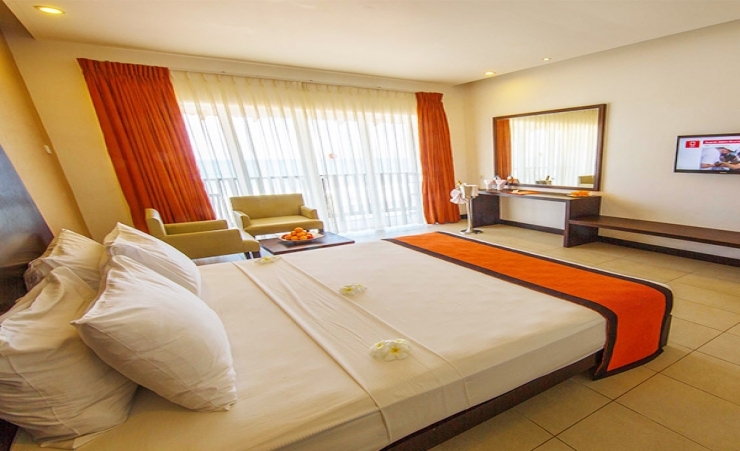 Spacious and attractive Deluxe rooms offer quality and comfort with a balcony, king size beds, air-conditioning, satellite television, telephone, hairdryer and mini bar. Breakfast, lunch, dinner and snacks, local spirits by the glass, local cocktails, local beer & wine, soft drinks, seasonal local fresh fruit juices and tea/coffee. Time and measurement stipulations may apply. 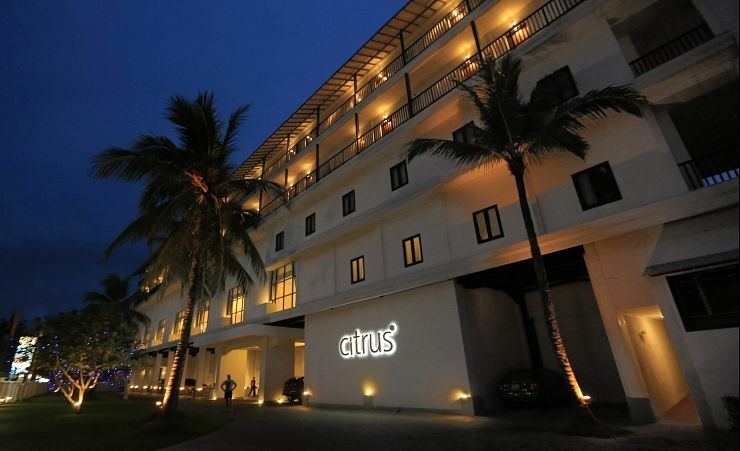 Find out more about your accommodation and the in room facilities at the Citrus Hikkaduwa . Designed to inspire rest and relaxation, the hotel's sleek, modern Deluxe Rooms create a feeling of home with a Citrus twist. 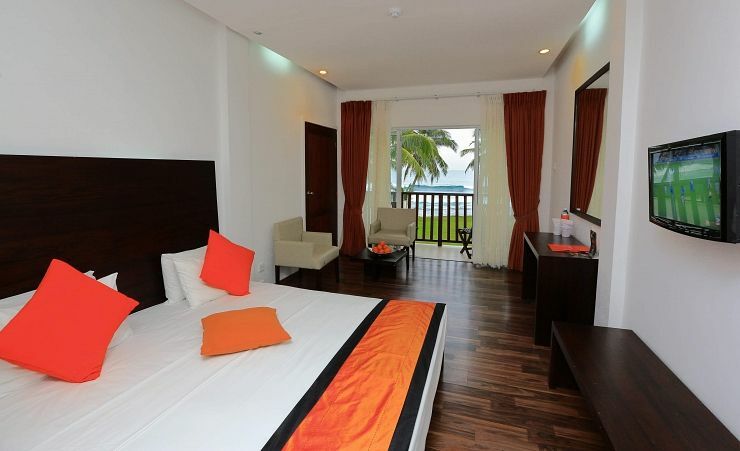 Each room features a king size bed and amazing sea view amongst other amenities available. 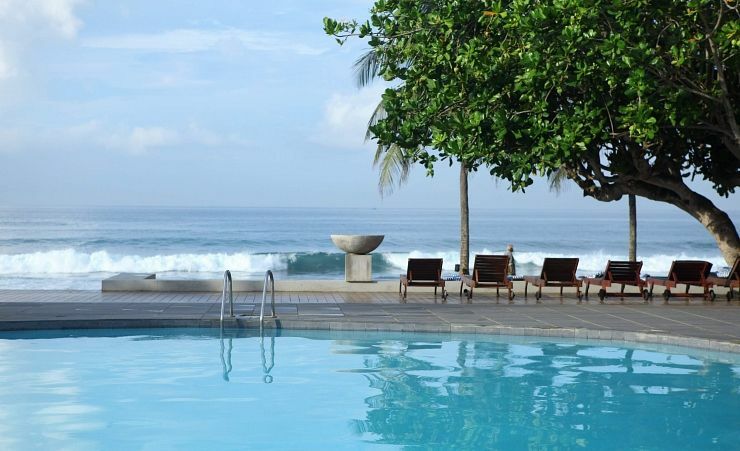 Hikkaduwa holidays are an excellent choice, for those looking for a taste of the relaxed and laid back beach lifestyle Sri Lanka is known for. 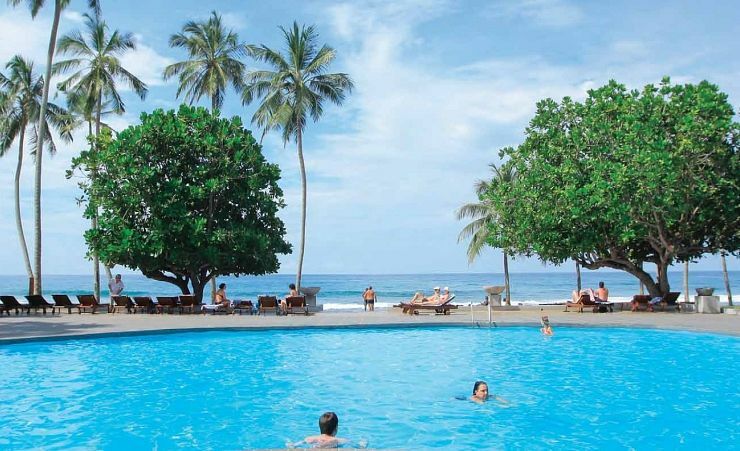 The resort has lots to offer with pristine white sandy beaches, intricate coral reefs and a colourful surf and diving scene, a Hikkaduwa holiday is one you'll remember for lots of reasons. Exotic Sri Lanka attracts fun seekers from all over the world. Our Hikkaduwa holidays give you a chance to experience the best Sri Lanka has to offer. It's a taste of paradise and the recipe for a carefree holiday. Hikkaduwa is well known for its surfing scene and as a result attracts an eclectic mix of visitors, especially during the dry season (November to March). Diving is also popular and the resort caters for beginners and the more experienced. As well as beaches, you'll also find plenty to explore here including picture-perfect temples, the tranquillity of traditional life in a fishing village and a stunning freshwater lake. There are also a choice of restaurants, bars, shops and nightclubs to cater for all tastes and all kinds of holidays in Sri Lanka. Those with an interest in nature will enjoy spending some of their holiday in Hikkaduwa visiting the Hikkaduwa Bird Lake. Here you'll discover exotic birds, water lizards and traditional water prawn fishing. Why not add-on a 4 nights in Kerala or even a luxury beach stay to the Maldives? Why not Add-On 4 nights in Kerala or the Maldives? Transfer Time: approximately 135 minutes. Lovely hotel. Very friendly and efficient staff. Very friendly, efficient and welcoming. Not a day went by without reception staff saying, good morning or goodnight. Food was plenty some and of a good variety there was always something you could eat. Excellent standard of cleanliness and there was no problem with flies or mosquitoes. The crows were a bit noisy sometimes though. Overall a wonderful holiday. Staff were amazing!! We were made to feel like part of the Hotel family. Clean, excellent service, excellent facilities could not ask for more. Five Star for all. Thank you for making our holiday amazing!! We arrived at the Citrus, early evening after a layover in Abu Dhabi and a two and a half hour drive from Colombo airport, hotel. Check in was friendly enough with a glass of fruit juice, cold towel and an explanation of the restrictions (not many, to be honest) of our 'all inclusive' package. We were then shown to our 'deluxe' rooms, on the top floor, looking out over the pool and beach. I'd been dreading this moment after reading recent reviews online, but was pleasantly surprised. It was clean, dry and not in the least bit musty. And yes, I smelled the bedding and pillows, no problems. Overall, the food was good, yes the buffets weren't the most adventurous, but this is a smallish hotel, just ninety rooms, and we were travelling off-season. At each meal there were selections of both western and Indian dishes, all very tasty. There's an omelette chef at breakfast each morning. The bar, overlooking the lawn and the beach, was cosy, the bar staff reasonably attentive - unless 'distracted' - there's a reasonable selection of cocktails, draught Lion lager and several other bottled brews. As all inclusive guests we had a slightly restricted selection of drinks, but it was no hardship. We drank them out of draught Lion beer within our first three days! Telecom technicians visit the hotel on our second day and the quality and coverage of the wi-fi improved significantly, offering between 0.3 and 0.5Mb/s both up and down. The main road from Colombo to Galle is just a few yards from the front of the hotel and the main rail line a few yards farther. Despite the new southern expressway, this is still a busy, noisy road, so even in a 'deluxe' room, four floors up, you might be disturbed by traffic or trains in the mornings; that's hardly the fault of the hotel. There's a supermarket and 'wine shop' opposite, not that I would encourage anyone to source their alcohol outside the hotel. 'Central' Hikkaduwa is a twenty minute stroll to the north (left out of the hotel) and a few interesting bars, restaurants and shops strung out to the south. Interestingly, on my penultimate day, I was sitting in reception, chilling, and a member of the management team enquired about my stay. I told her that generally, I had no problems, but explained to her that the light switch in the 'gents', by the bar, comprised twisted bare wires, just a few feet from the washbasin. When I left more than 24 hours later it had still not been fixed, and they had still not re-stocked the draught Lion beer. Sri Lankan time is pretty much 'mañana' - but without the urgency. Overall, I would rate the Citrus 3½ - 4 stars. Certainly 4 Sri Lankan stars. If you set your expectations accordingly you'll have a great time. 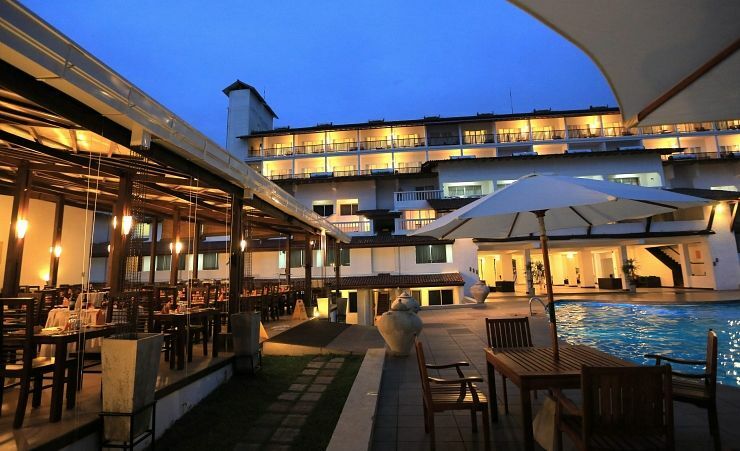 I have recently spent 2 weeks in Sri Lanka in the Hikkaduwa Citrus Hotel and my friend and I really enjoyed it. The staff were excellent all were very welcoming. Food lovely and accommodation great too. I could not fault it. Fantastic food....helpful courteous friendly staff and situated so close to the beach. ...breathtaking. the staff were the best we have had nothing was too much trouble for them all staff even management ,the one thing I do think was needed is some sort of umberella for shade from the sun on site as it gets so hot excellent holiday .